View More In Figurine Ornaments - Page 8. 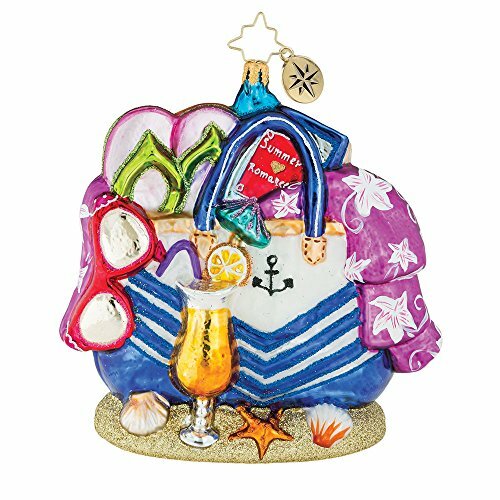 The Christopher Radko Beach Bag Bounty Christmas Ornament is part of the 2018 Surf & Sun Collection. Pack your bag for the perfect summer day with a pair of sunglasses, a beach read, and a refreshing drink to sip on.